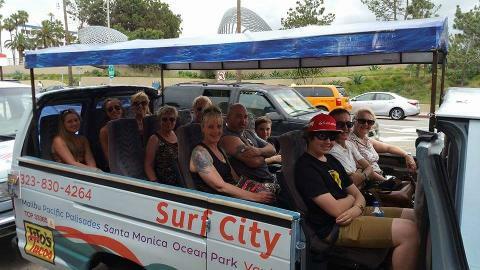 Surf City Tours offers "The Perfect LA Tour." Learn about the city, and get out to explore the best parts on your own. 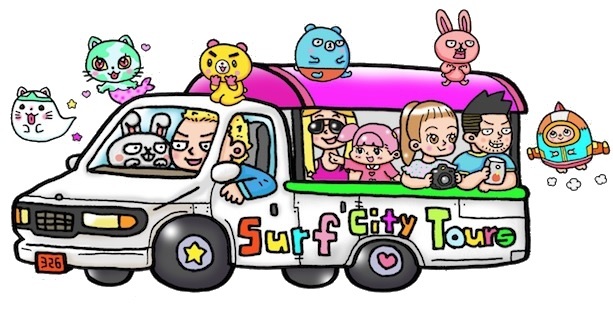 This is a fully narrated tour of Los Angeles aboard clean, comfortable, convertible buses. Get out and explore the Hollywood Walk of Fame. Make a quick stop to shop with the celebrities at Rodeo Drive. Stop for lunch at the World-Famous Farmer's Market. Take some photographs and/or selfies on Mulholland Drive near the Hollywood Sign. 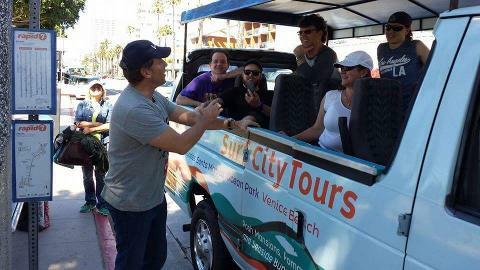 In between stops you'll learn about the history of Los Angeles, see movie studios, historic filming locations, the Sunset Strip, music venues, crime scenes, popular restaurants, celebrity homes & more. 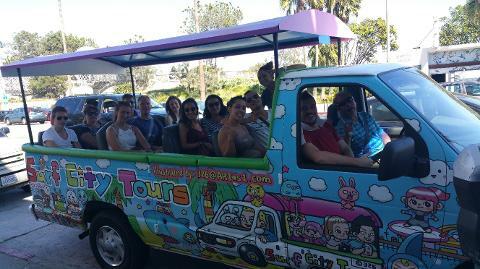 Essentially all of the traditional Los Angeles sightseeing in a day. Anyone 13 and under is considered a child, and anyone over the age of 65 will receive a senior discount. Please check for the accuracy of your booking time and date before confirming your booking and then again in the confirmation email you receive shortly thereafter. If you notice any errors, please give us a call right away so that we can sort it out for you.